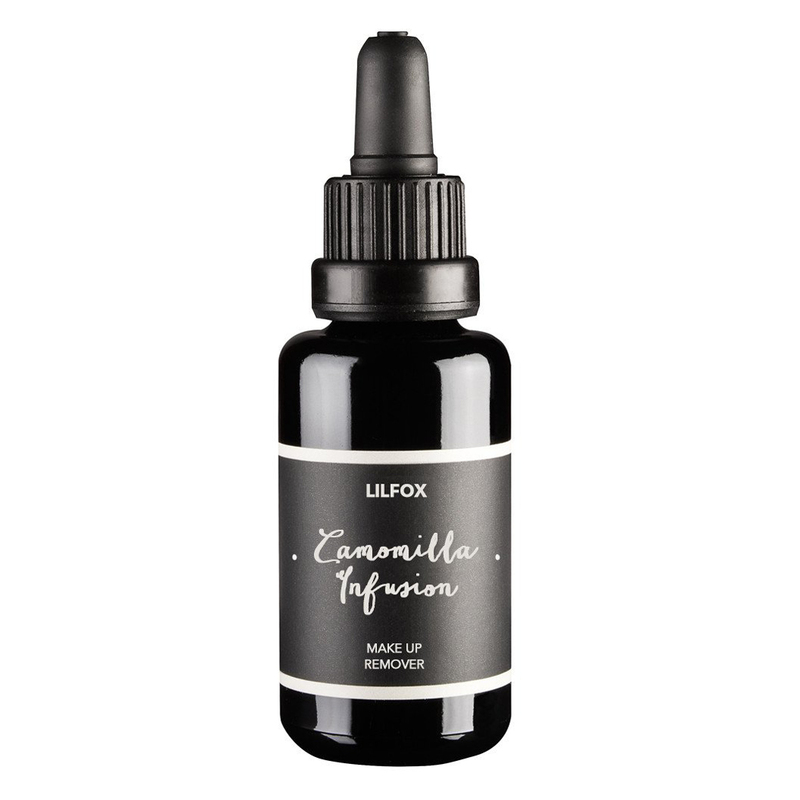 Camomilla Oil Cleansing Makeup Remover by LILFOX is a two in one makeup remover and oil cleanser that gently cleanses the skin of makeup, while leaving the complexion feeling fresh and soft. Cold pressed and organic jojoba contains a high dose of moisturizing omega-3 and omega-6 fatty acids. This herbal infusion also includes the botanicals of chamomile to tone down the appearance of inflammation, healing frankincense to give skin a sense of pampering and balance, and lavender to lend a soothing vibe to mind, body and spirit. Always remove contacts before use. Add a couple drops to fingers and gently wipe across eyelids and or face. Gently massage for one minute to cleanse away makeup residue, and boost a feeling of purity and detoxification.Take a warm wet cloth and place over face. Let heat warm the oils before wiping clean the day's dirt and stresses.